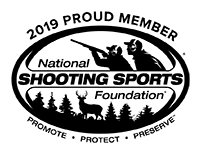 Deluxe Hardback Coat, : Creedmoor Sports Inc.
We're constantly striving to improve our products to help you improve your scores. Designed with the input from shooters across several disciplines, the Custom Deluxe Hardback is the most comfortable coat out there. Click here for our measuring guide for your Custom Deluxe Harback Coat. The spandex allows your forearm to come closer to your bicep in the standing position without the bulkier material getting in the way. It also prevents hot brass from falling into your sleeve. If you've ever had a hot piece of brass fall into your zippered sleeve opening, you know what we mean. If not, then consider yourself lucky! By designing the sleeves with a tighter arm fit, the contact point where your elbow meets the inside of the sleeve will remain the same between shots. With non-tapered sleeves, there's an opportunity for your arm to shift inside of the sleeve between shots. Depending on how your elbow rests on the padding, this can cause an inconsistency in your natural point of aim. Being able to relax and keep your natural point of aim will help you to steady your hold and call your shots better. What does every shooting position have in common? Bent arms! So, it just makes sense to make the sleeves bent from the beginning. This makes it easier for you to get into position with minimum resistance from the sleeve. The more comfortable you are in position, the better your scores! 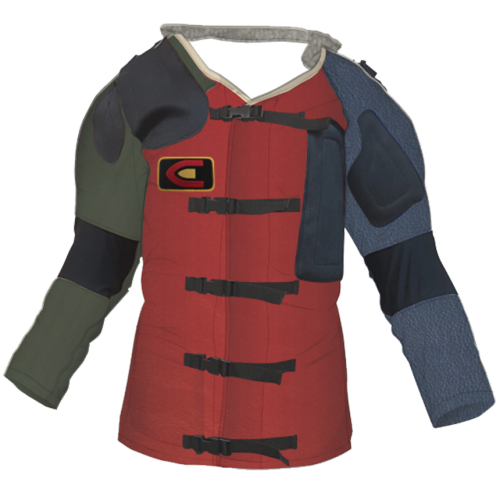 We've added a larger rubber body pad on the support side of the coat to provide more rubber on rubber (elbow rubber to body) contact in the standing position to keep that position locked. Remember, the better your standing position, the less muscle strength used, which will reduce fatigue. Strategically placed added padding creates "low pulse" effect when shooting with the sling on the arm. With the introduction of scopes, a heavy pulse can be extremely distracting. One quarter inch padding protects the elbows. Twenty minutes in prone on a hard surface can take its toll on your elbows. The half inch padding along with our exclusive textured rubber make for a perfect combination of comfort and support. Contoured side-release heavy duty nylon buckles with adjusting straps secures the coat around the body for maximum support. The flat buckle allows for a comfortable prone position while laying on the buckles. A quick and easy-to-use sling harness is provided to maintain the sling's position on the arm. A soft, removable and washable terry cloth collar protects the shooters neck and coat material. This is where all the support comes from. The layers are specially quilted to be flexible, but still provide a rigid support when the straps are tightened. We would love to tell you our sewing magic but something has to be secret and kept in a vault. We developed a specialty textured rubber formula to provide slip resistance while shooting. Strategically placed elbow, body and sling/pulse pads provide maximum support and higher scores. Permits unrestricted arm movement and prevents the coat from the dreaded "ride-up" your back while shooting prone. Nothing like your hat and hearing protection being pushed off your head while trying to clean rapid fire or the 600 yard line! Can't buy points or can you? I was like many shooters that get into shooting high power rifle. I bought a name brand service rifle upper, put a match grade trigger in the lower and started rolling my own match grade ammo. I found a Creedmoor coat on Ebay and was the highest bidder when the acution ended on Labor Day weekend 2012. My new Ebay coat was an older Creedmoor coat but was not the best of fits but I made do with it and progressed to an Expert class in 2015. I told myself that I would get a new coat someday, and every year at Camp Perry I would try some on and think "that's a lot of money for something that I'm going to stink up". Skip forward to Camp Perry 2018. I've been shooting solid mid to high expert scores all year but just can't get over the hump. My standing scores are not very good, and switching to a scope this year has helped at 600 but not stellar scores. I stopped in the Creedmoor shop which was buzzing with shooters looking for that piece of equipment that would ease the pain of the last match. I tried on a few coats with Brent and Ben's help and we decided that a size 46 would be the size I would need to order when I got home and got another pay check direct deposited in my account, ever been to commercial row? I felt that the sleeves were a bit long on what Brent and Ben called the "Perry Cut" and was told that was not a problem to change when I ordered mine in a few weeks. In the next couple of weeks I played with the colors and options on the build a coat area of the website and decided on the brown and tan color combo, and the leather sleeve upgrade for $75. Expecting the order to take several weeks I was shocked to see an email that my order had shipped and I got my coat in ten days order to delivery. The coat fit me great. The shortened sleeves were perfect, and I loved the way the cuff fit snug around my wrist and shooting glove. No more rounds bouncing off my scope and down my coat sleeve. Since getting this new piece of equipment that fits me I have won my first two matches, shot cleans in rapids several times in matches, set personal bests in sitting, rapid prone, and total match score twice including High Master scores. Heck the other day I shot a 99-4x standing in practice. I can't help but wonder if I had started out with a coat that fit me would I have taken so long to get to this point and have this kind of success? High Power is an expensive sport and I know that Brent, Ben, and all the folks at Creedmoor get that and make shooting gear that last years. My coat with all the options (get them all you won't regret it) that fits me will last way longer than any other piece of equipment I have bought thus far except my Creedmoor bue cart. Thanks for taking the time to read this. Bob. Great coat my scores have improved!Worth every penny!The fit is like it was just made for me. Great Coat and Great Customer Service! Great in all respects from detailed ordering instructions and size details, questions addressed, workmanship, delivery, and final fit! I am a small junior shooter who had been previously using a coat that was too large. I received this coat a few months ago and I can confidently say it has changed the way I shoot service rifle and 3 position smallbore for the better. I would highly recommend this coat! Just received and completed 1st range day. Fit is perfect. The new sleeves and adjustments in rubber padding eliminate any of the bulking experienced around your lower arms. The fit is the best of any coat I've had. Craftsmanship and quality is excellent. Well worth the cost.